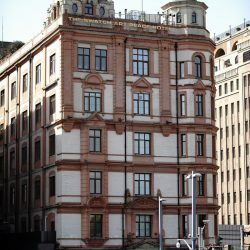 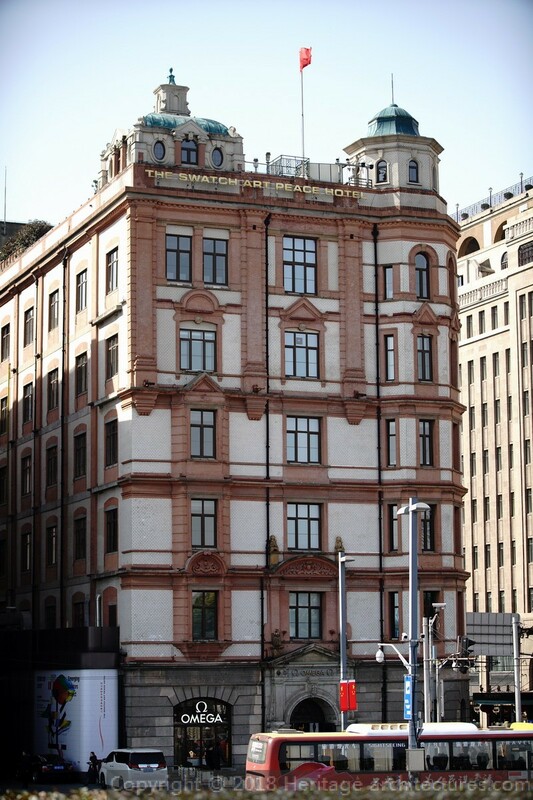 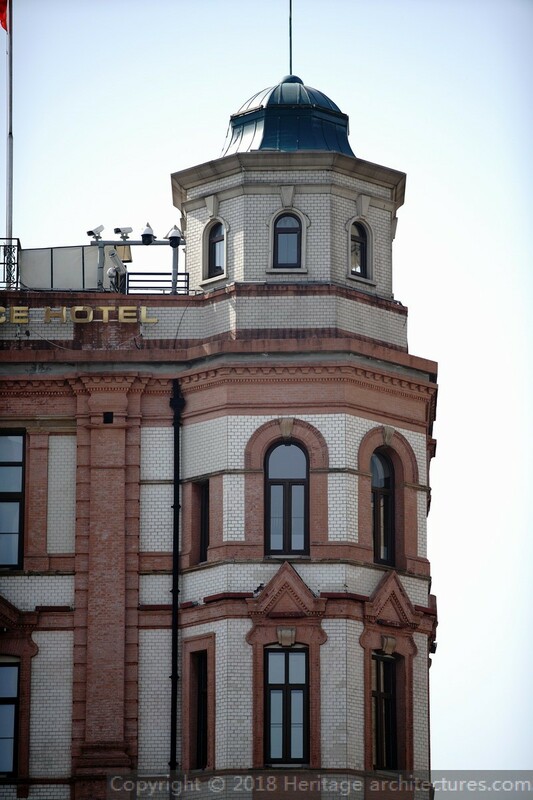 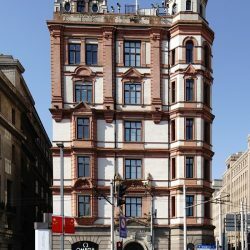 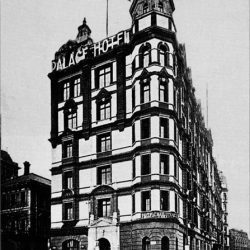 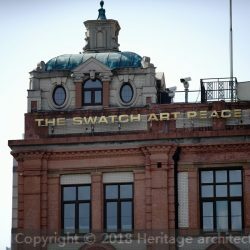 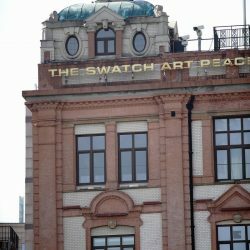 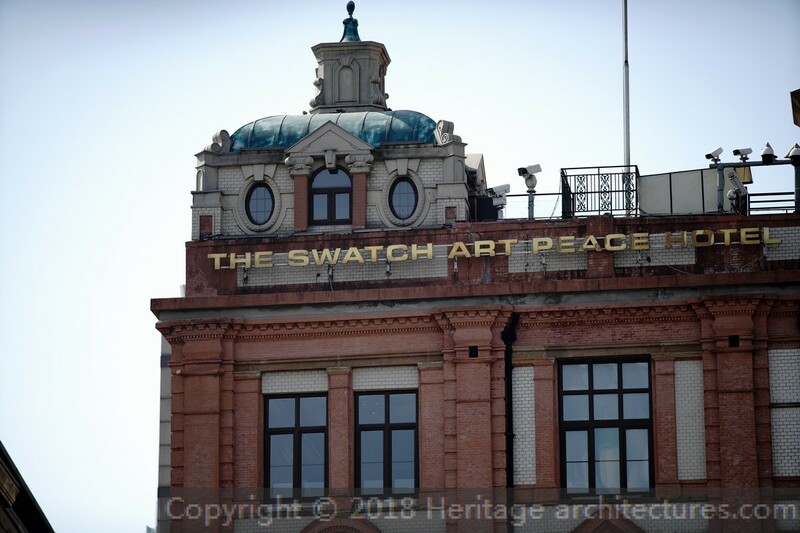 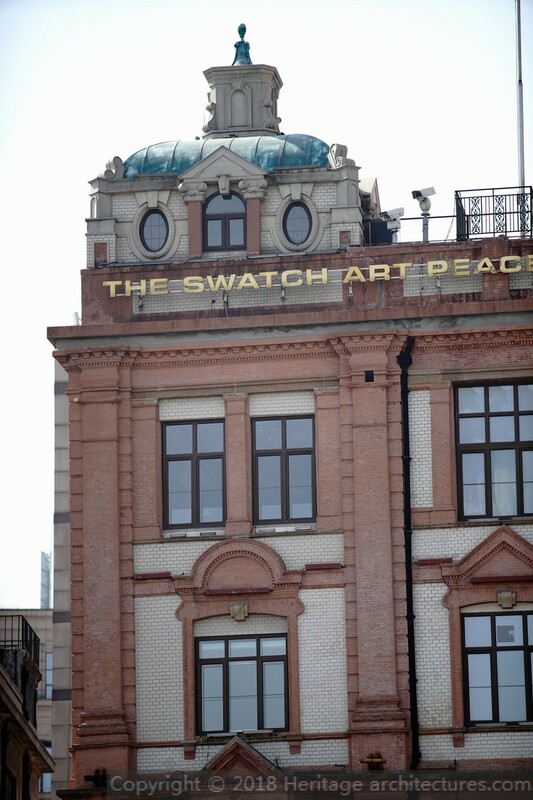 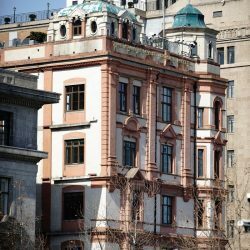 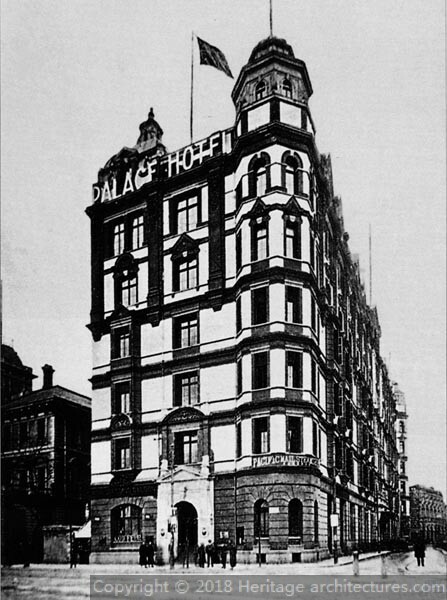 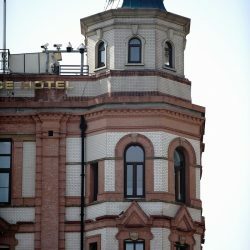 Former Palace Hotel. 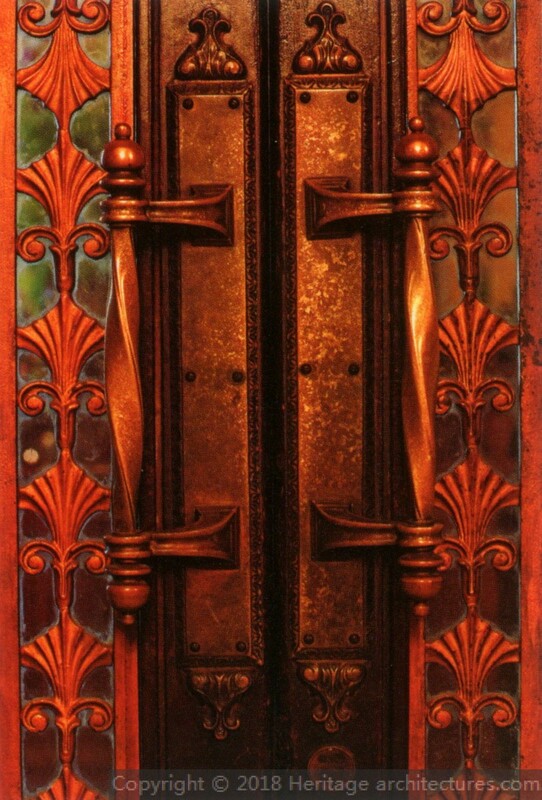 Designed by Scott & Carter. 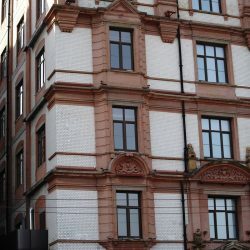 Completed in 1906. 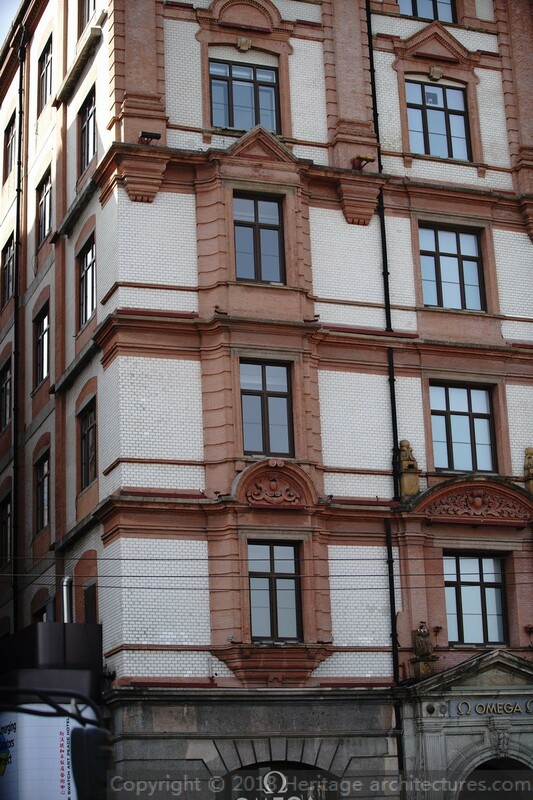 Brick-and-concrete composite structure. 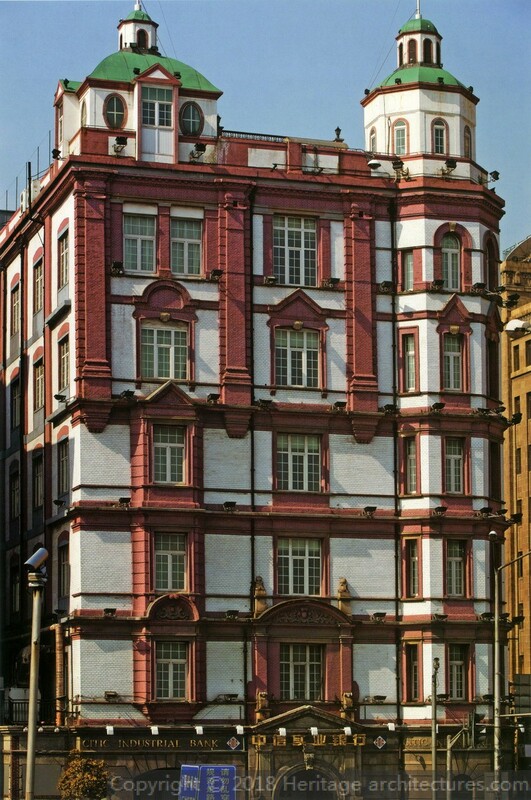 English Renaissance style. 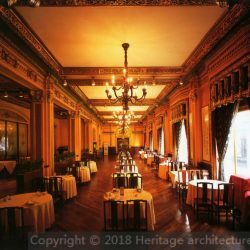 It was the most splendid hotel in the Far East at that time. 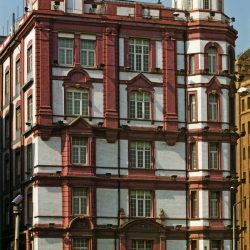 The building adopted striking moldings alternated between red and white for the facade. 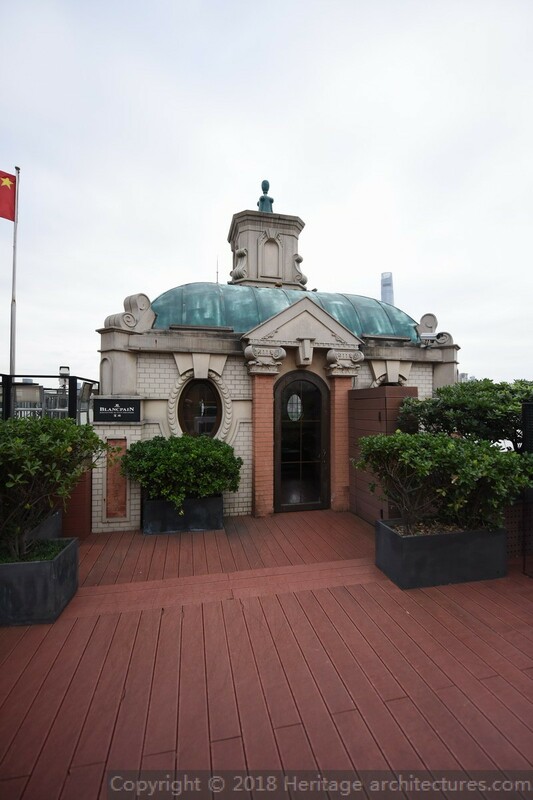 The roof-top pagodas in different sizes were restored during renovation in 1998. 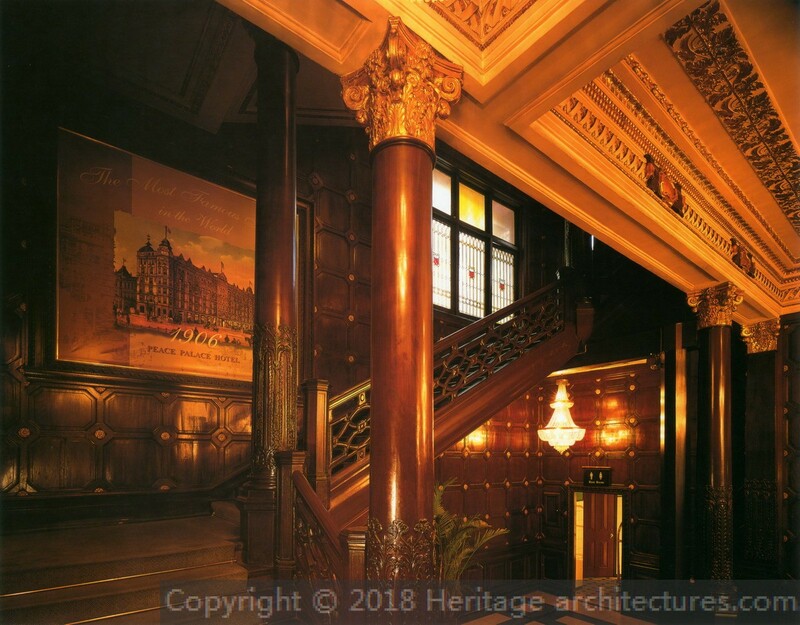 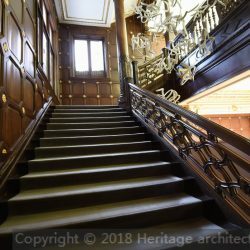 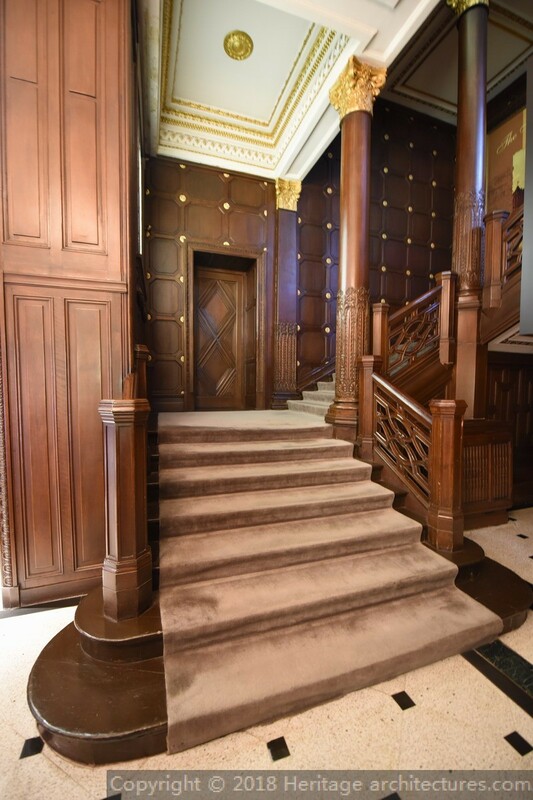 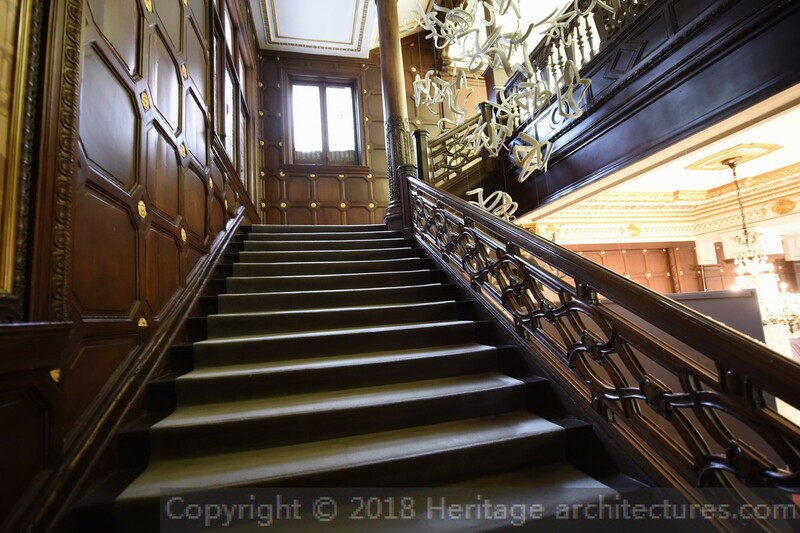 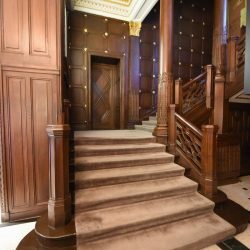 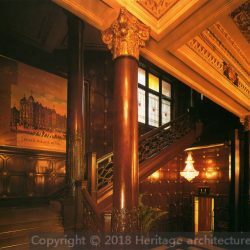 All wooden interior decoration for the lobby such as the columns, stairs and buttress are reflecting a magnificent style of Renaissance. 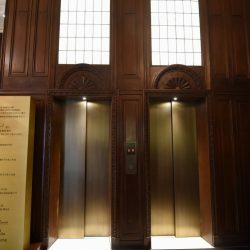 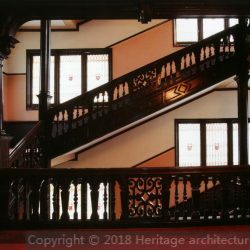 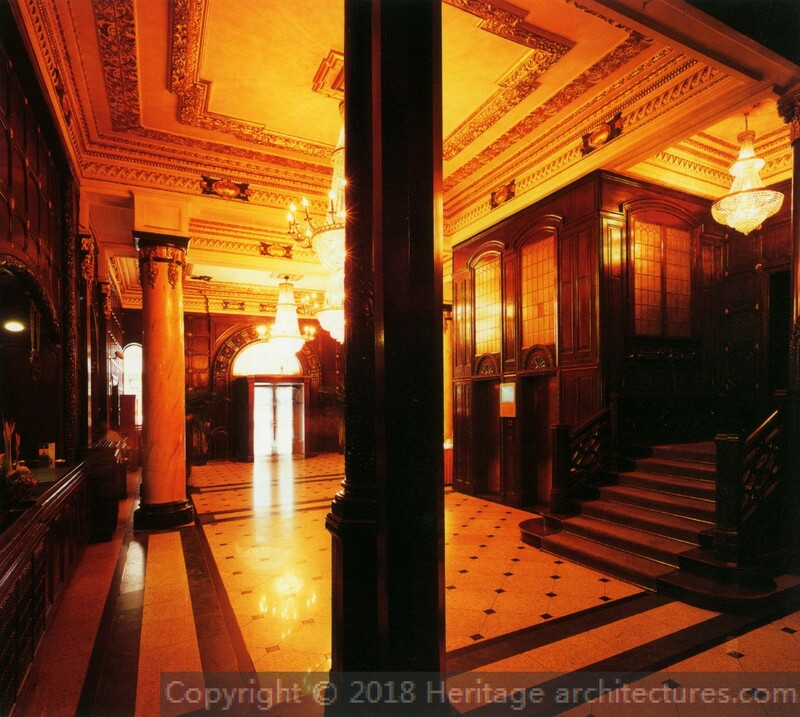 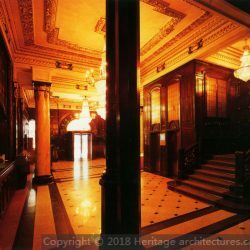 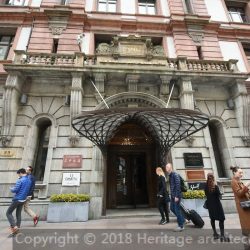 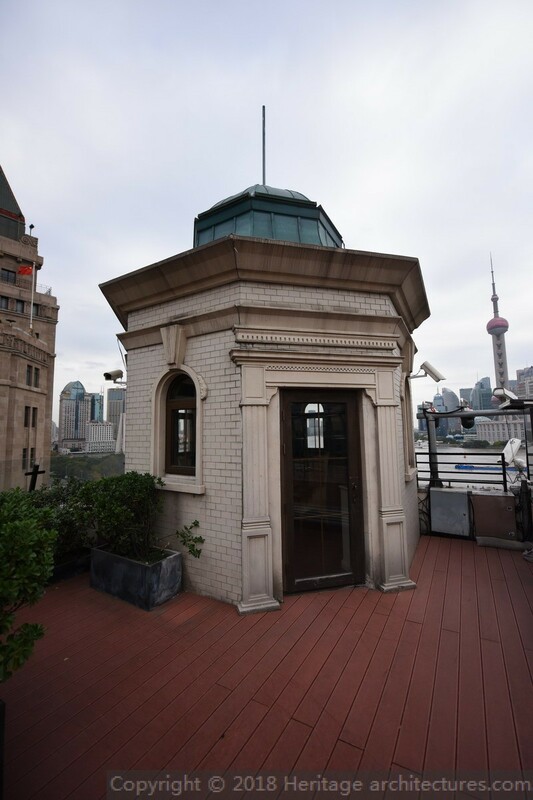 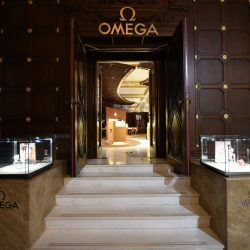 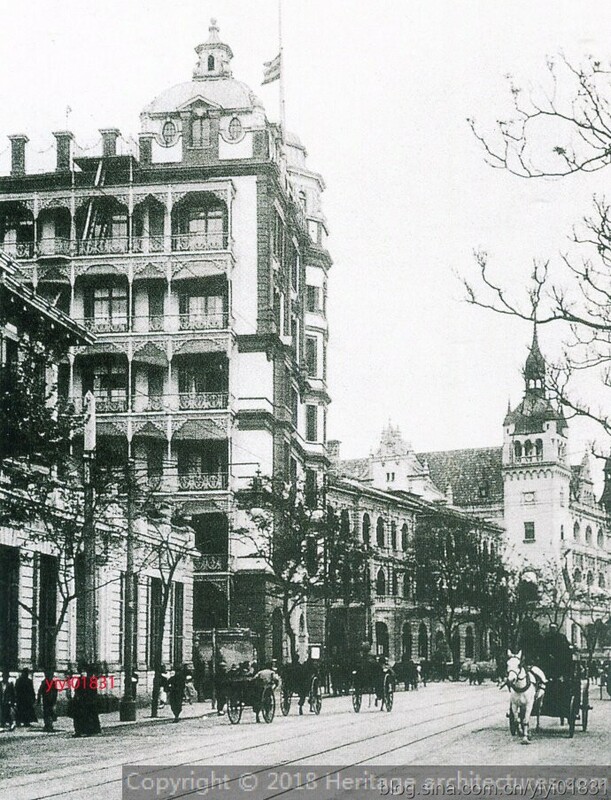 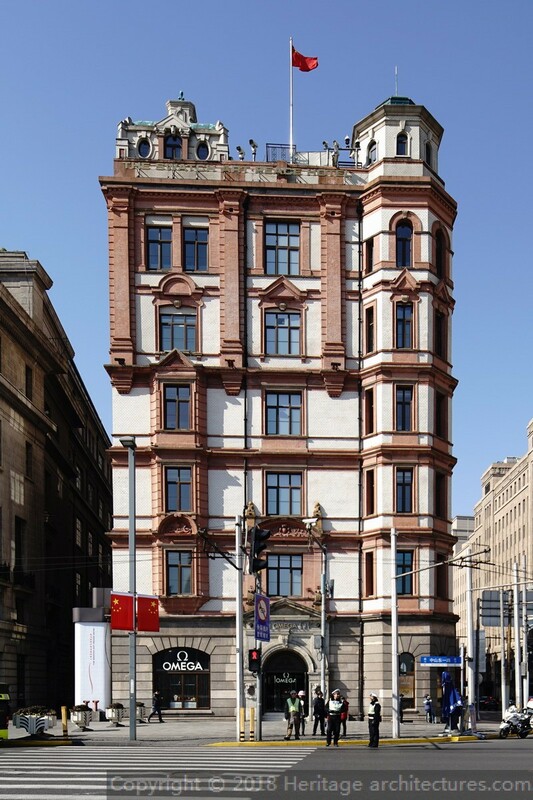 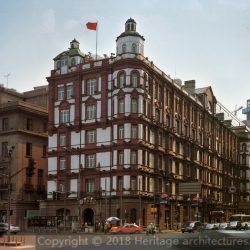 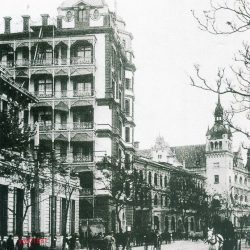 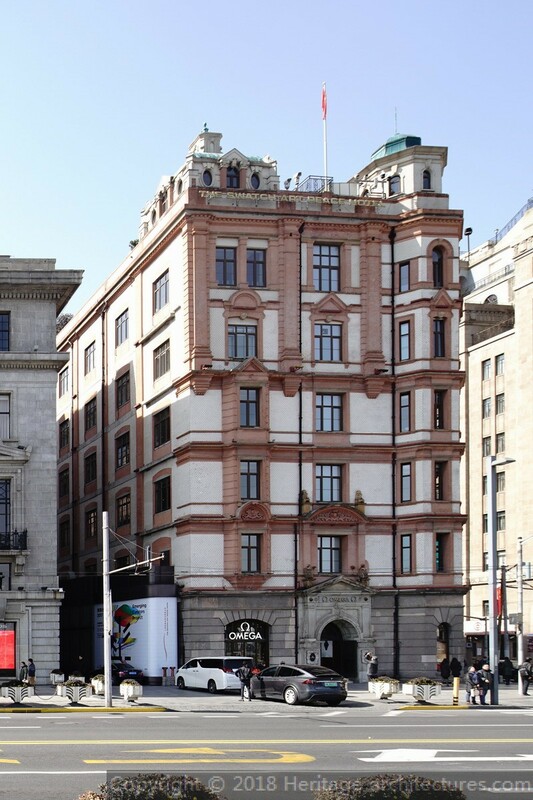 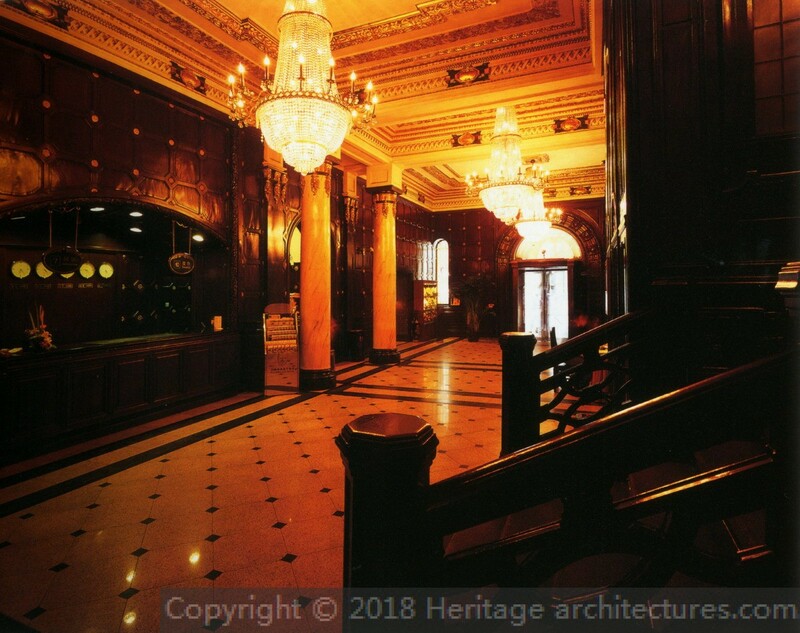 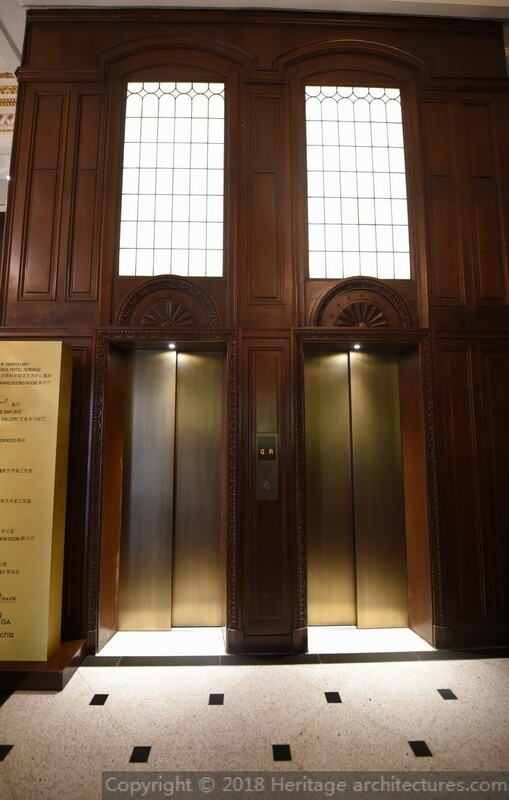 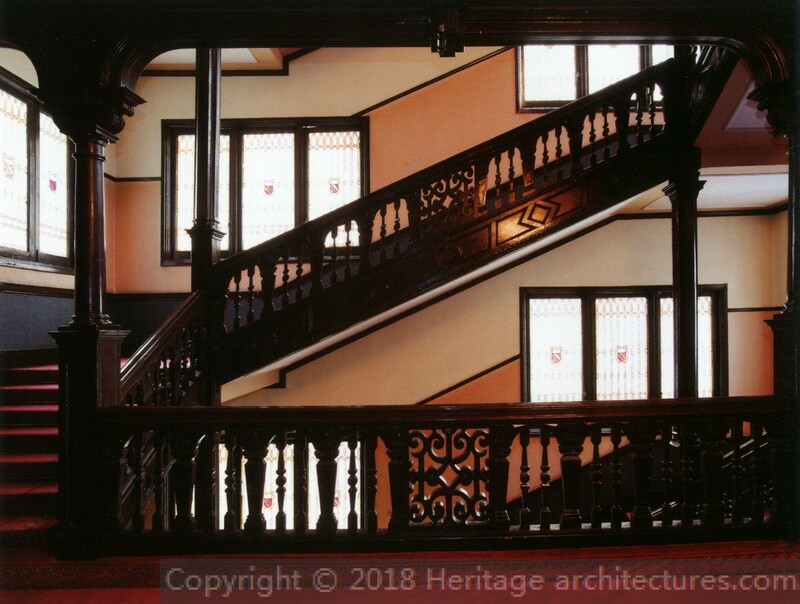 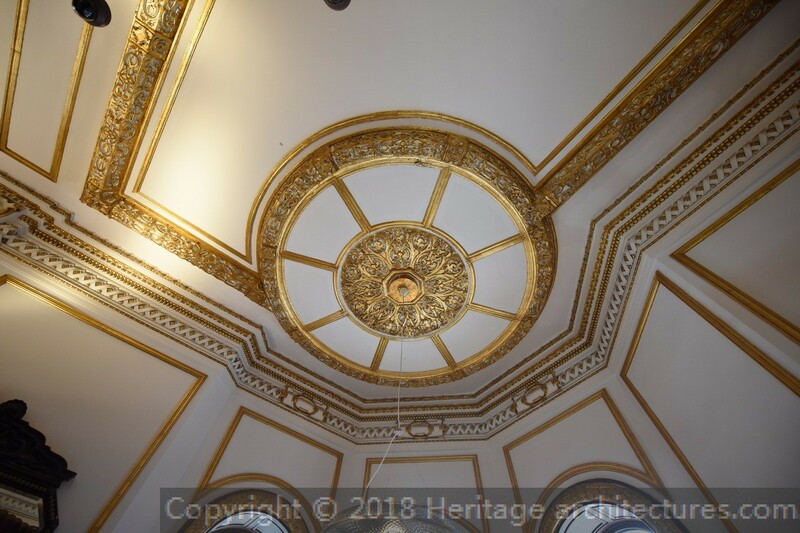 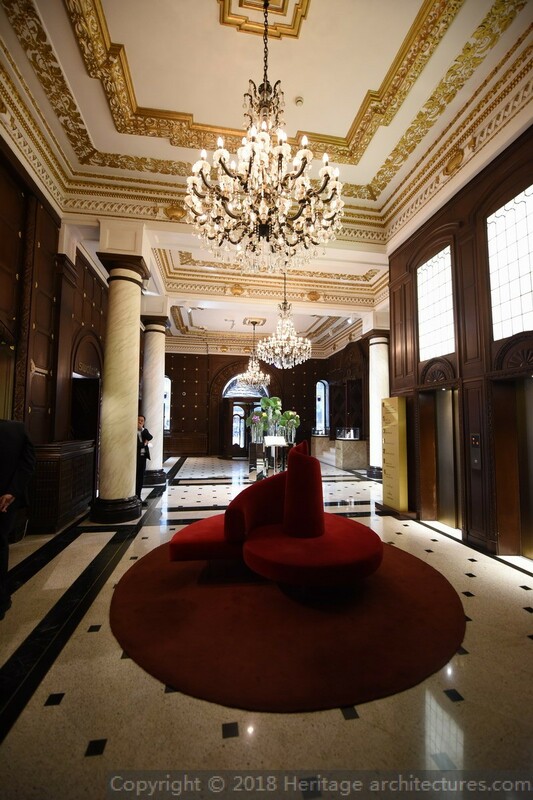 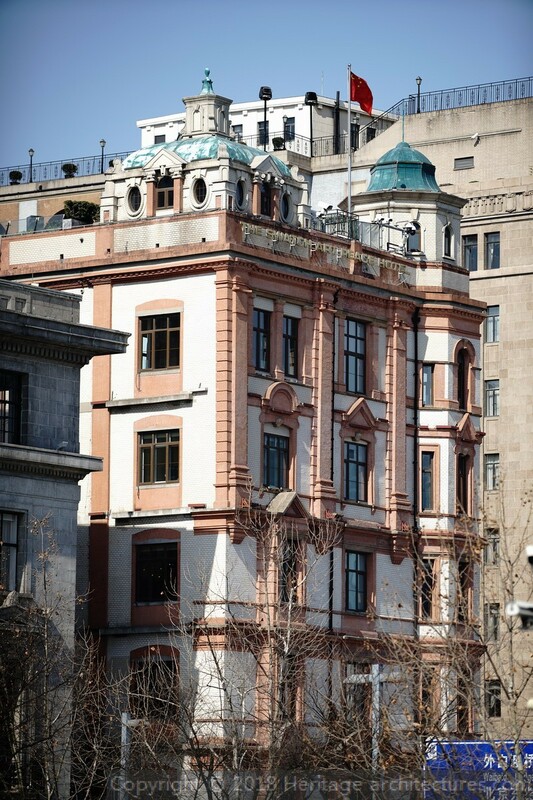 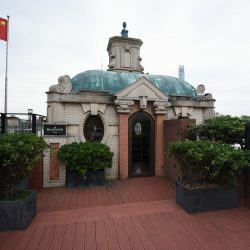 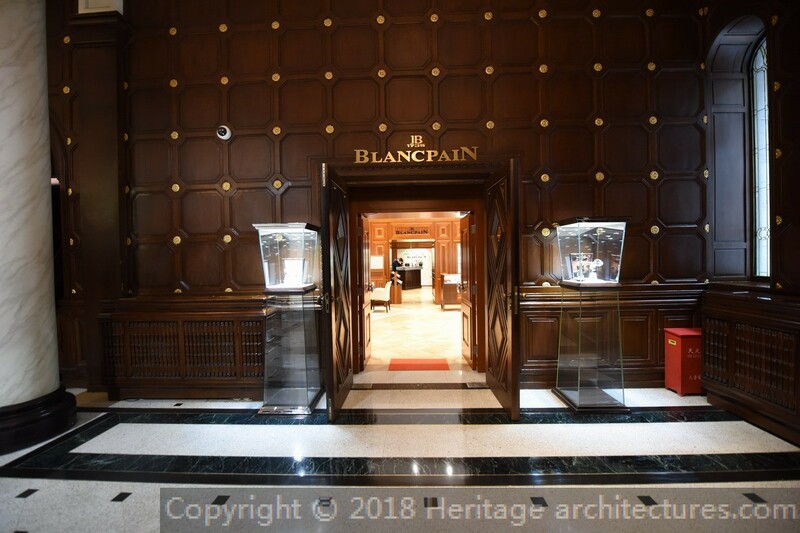 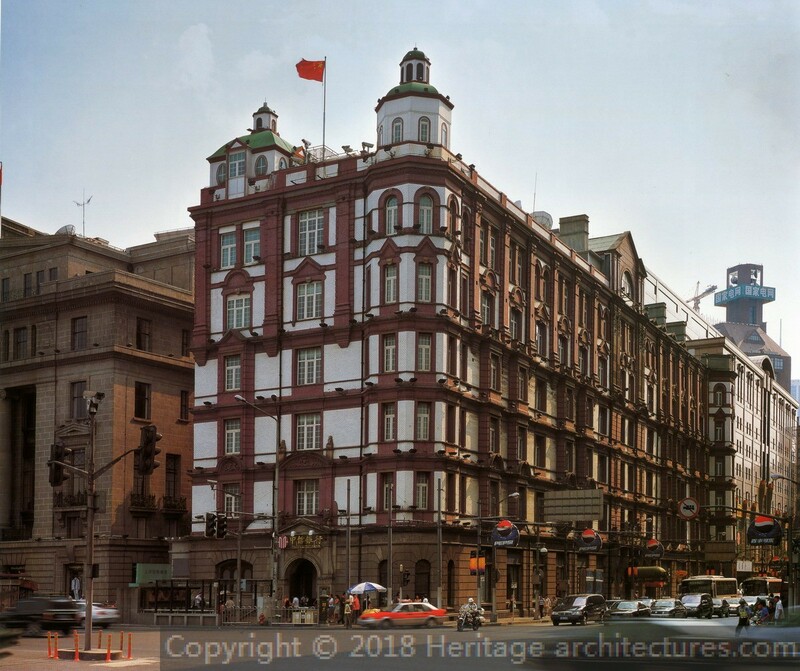 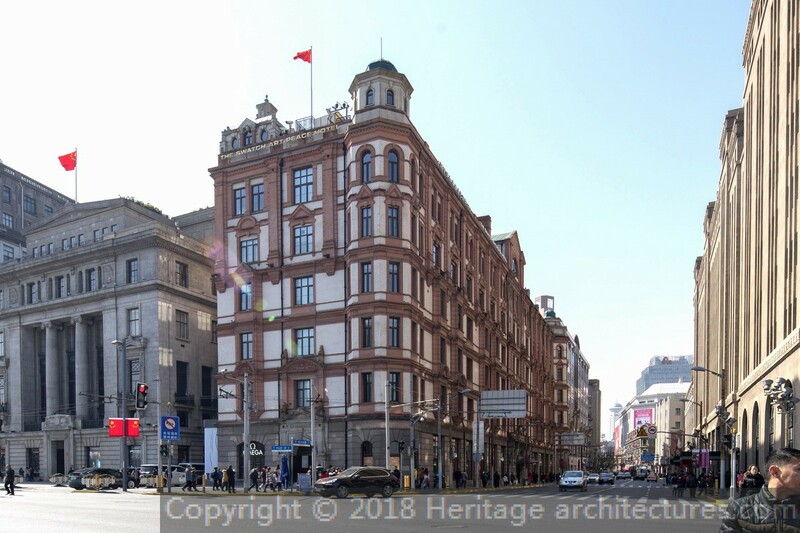 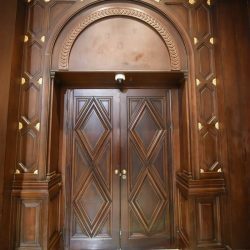 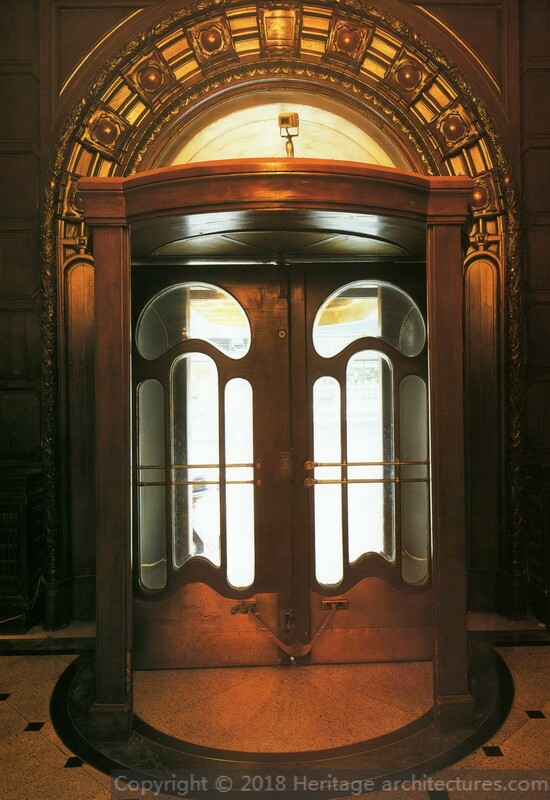 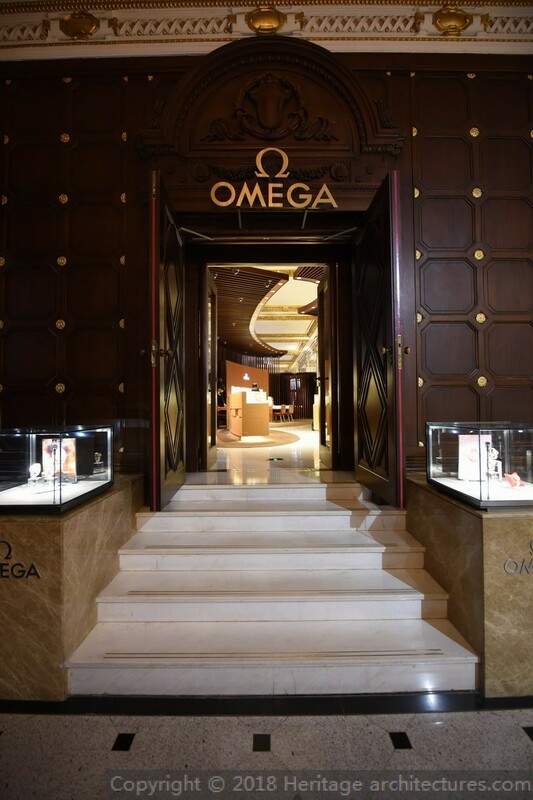 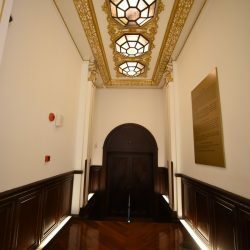 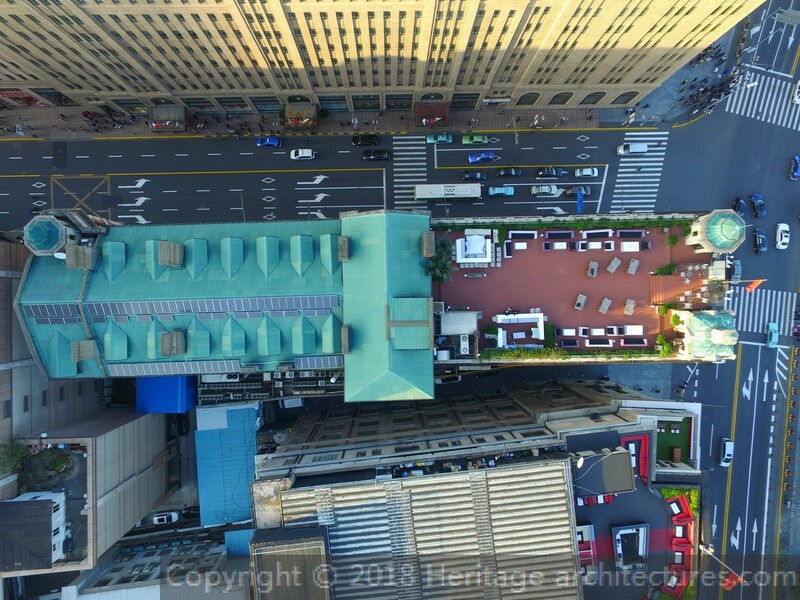 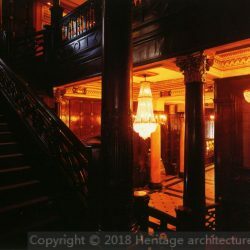 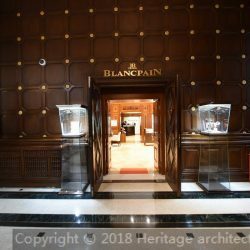 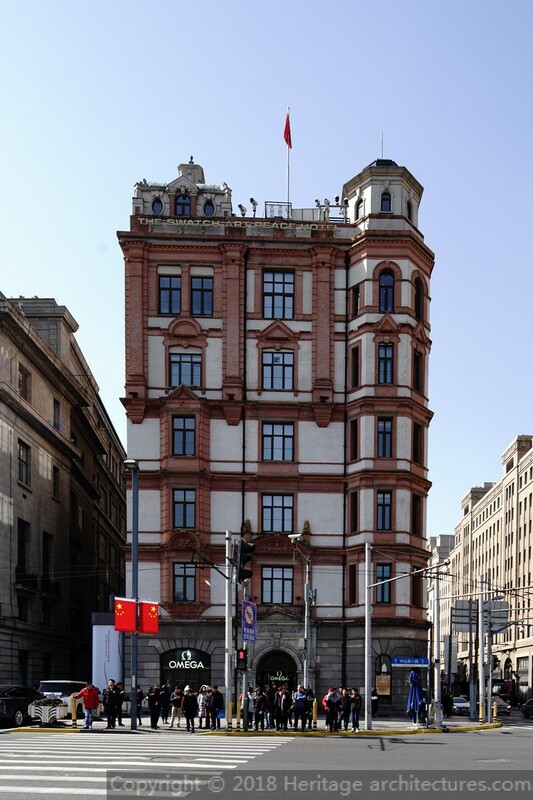 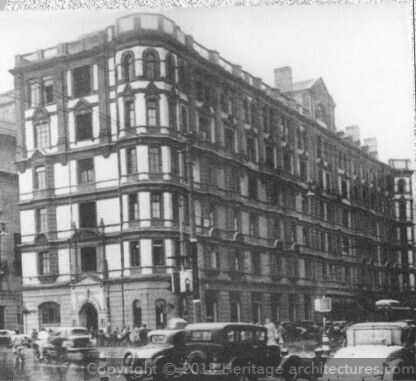 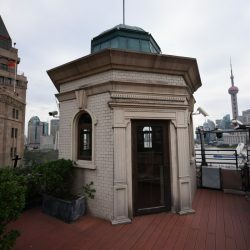 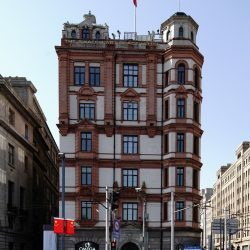 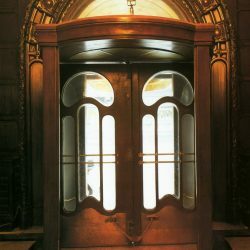 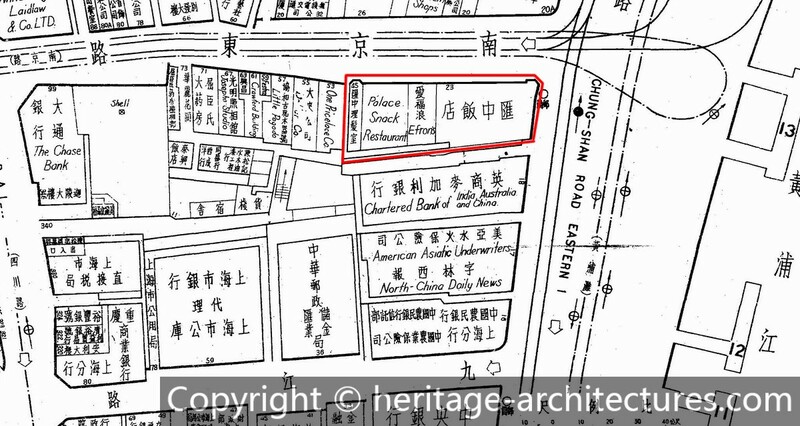 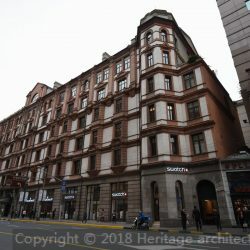 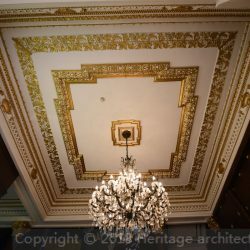 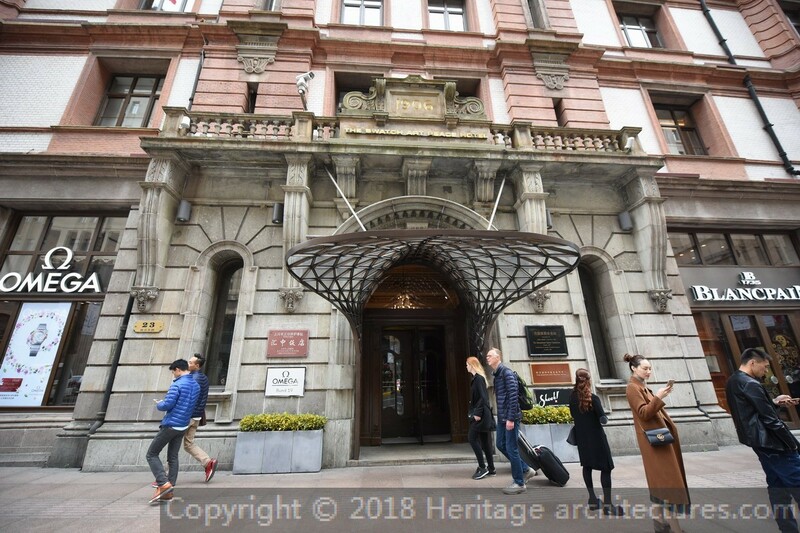 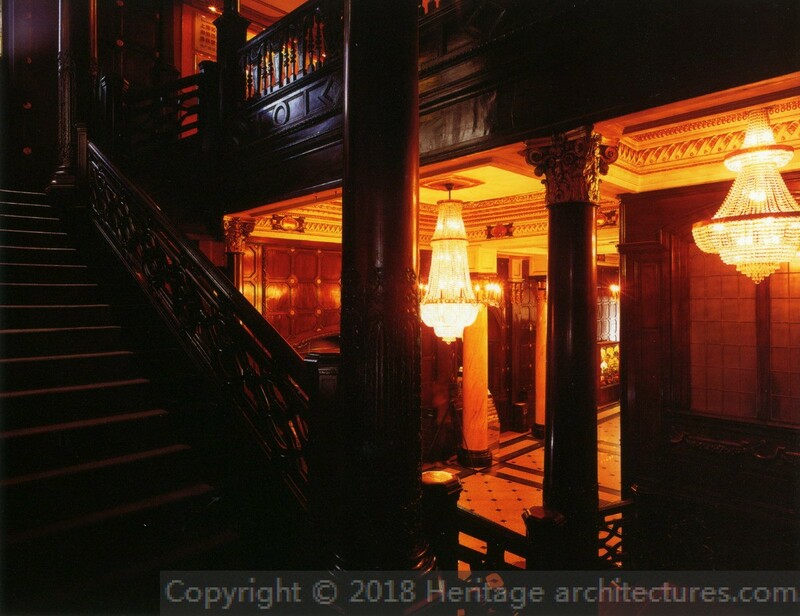 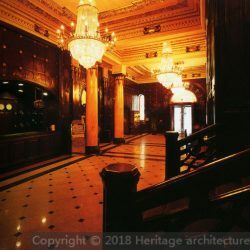 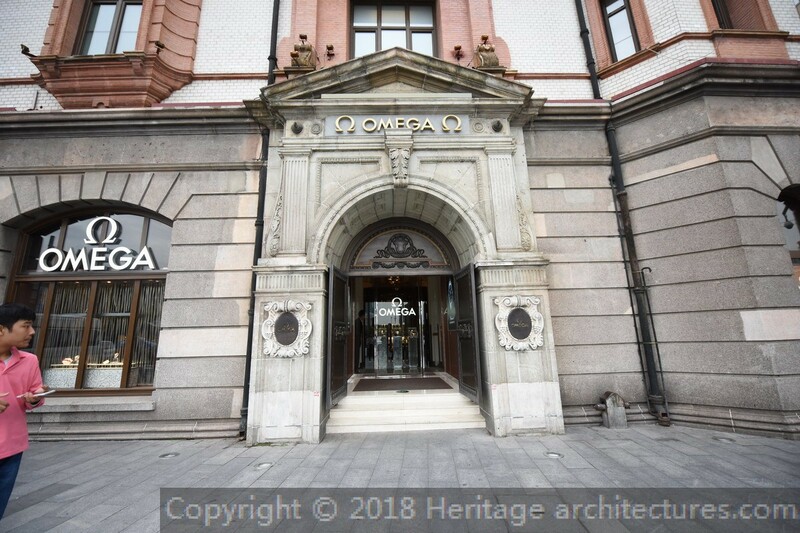 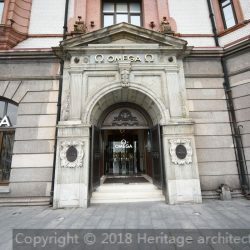 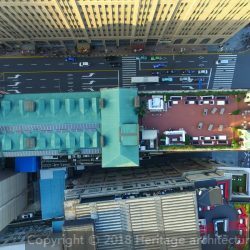 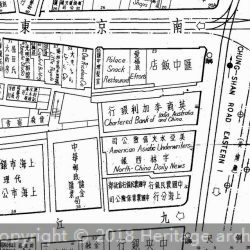 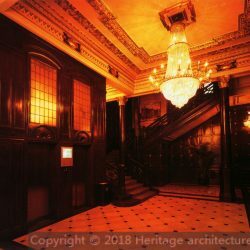 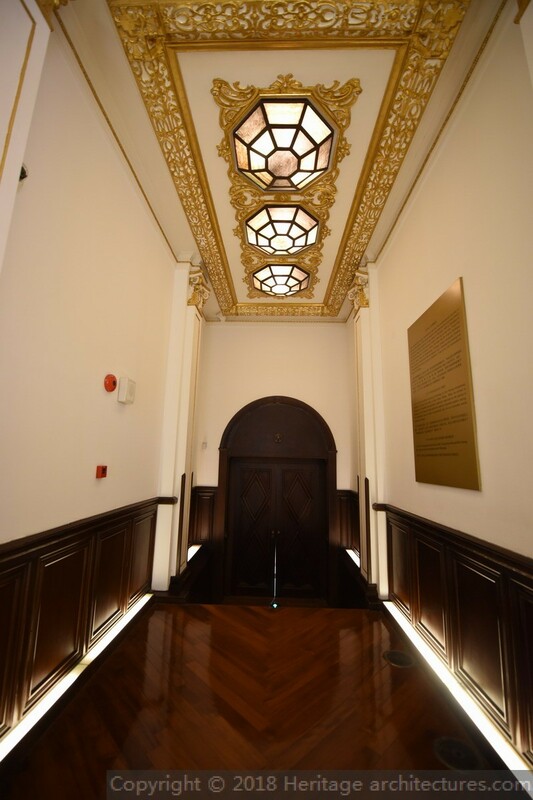 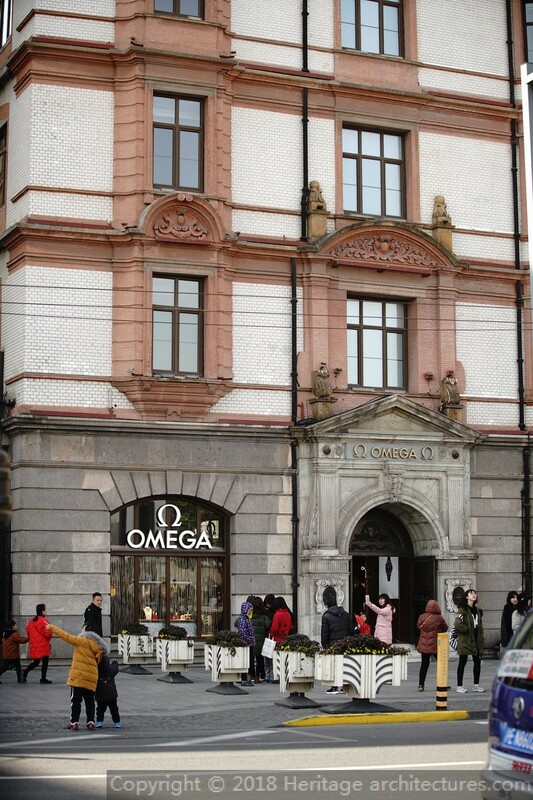 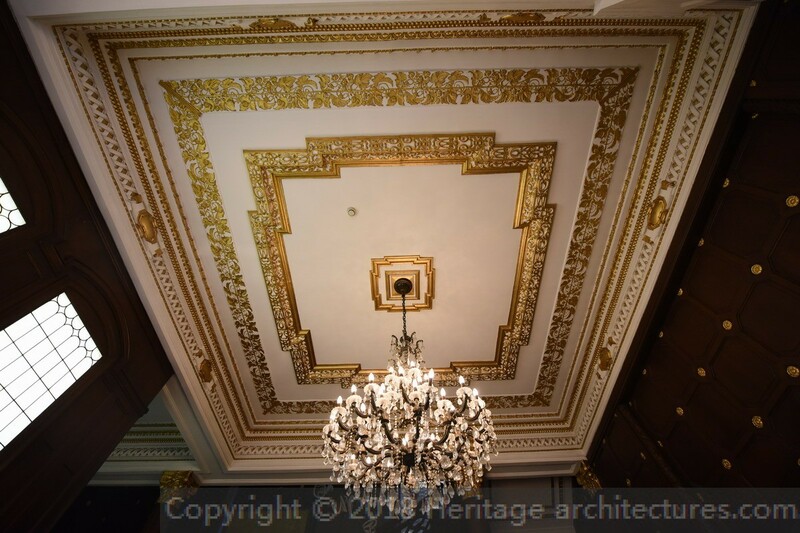 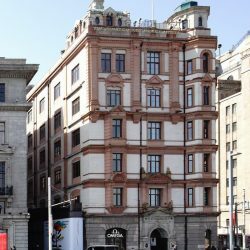 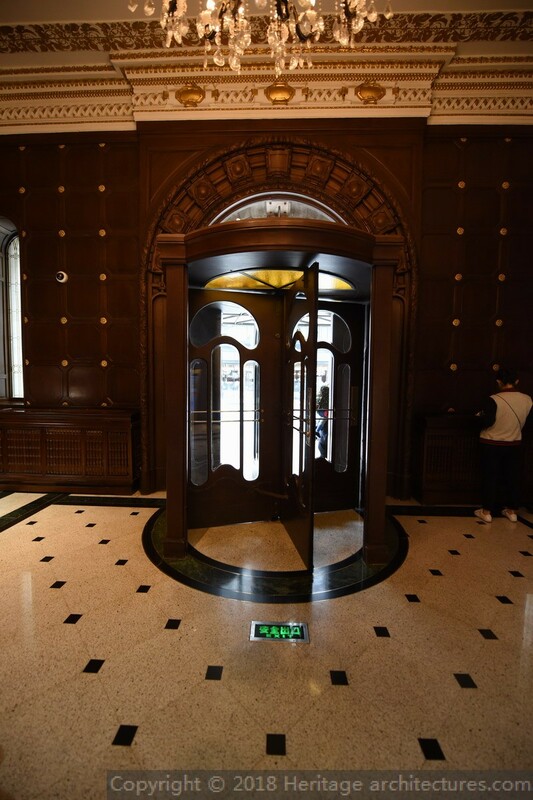 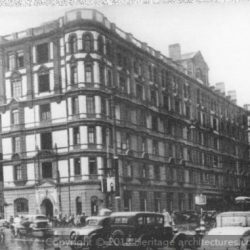 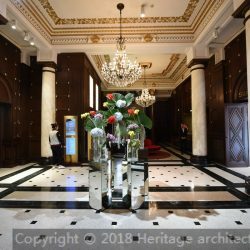 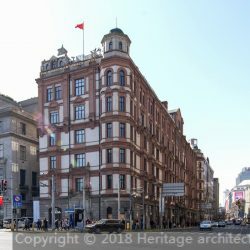 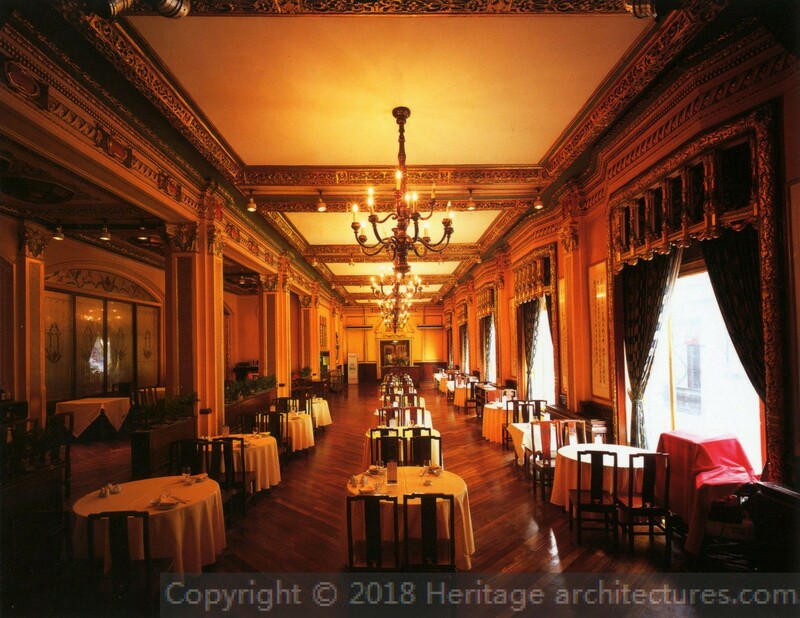 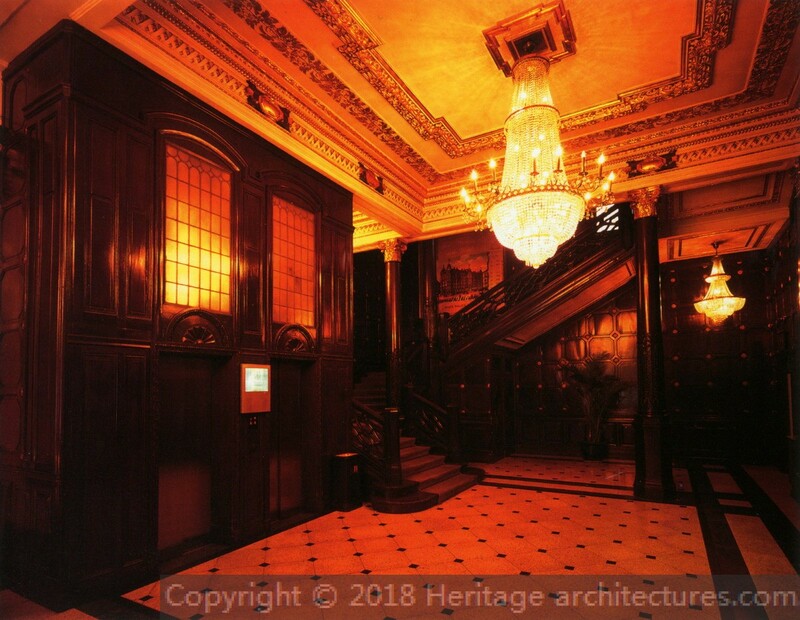 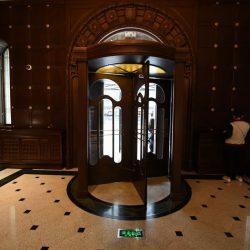 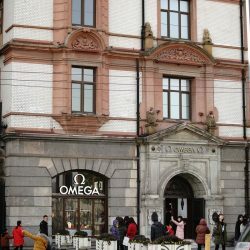 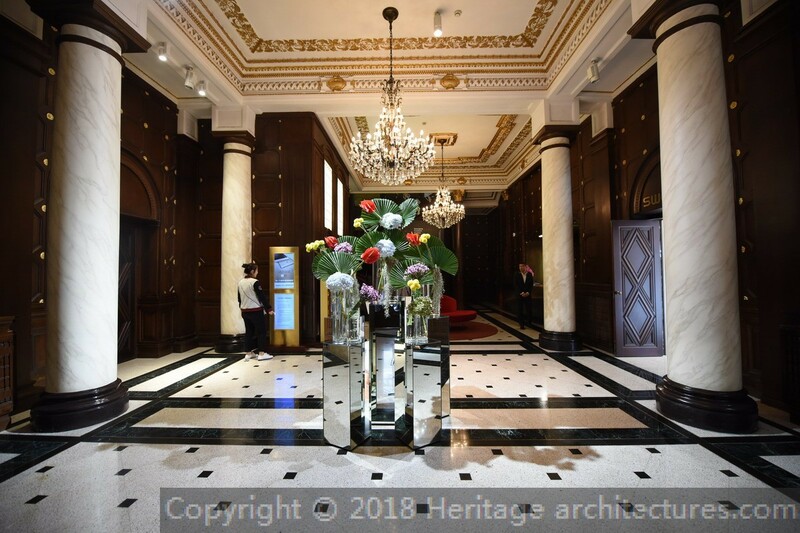 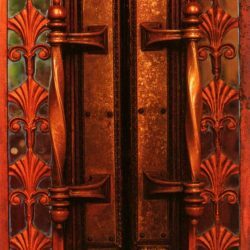 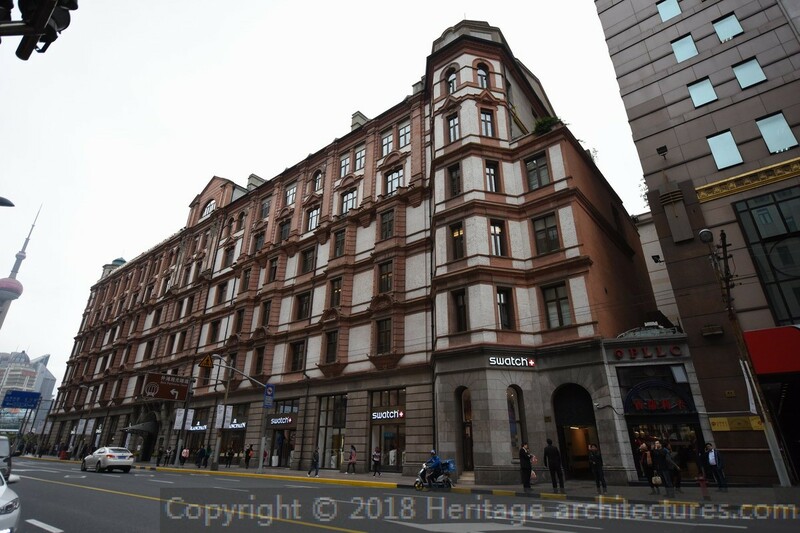 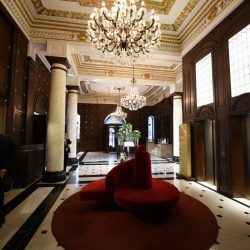 The hotel had been equipped with much dvancement, such as the first toilet system and elevators in Shanghai, even the revolving door of main entrance was an innovation then. 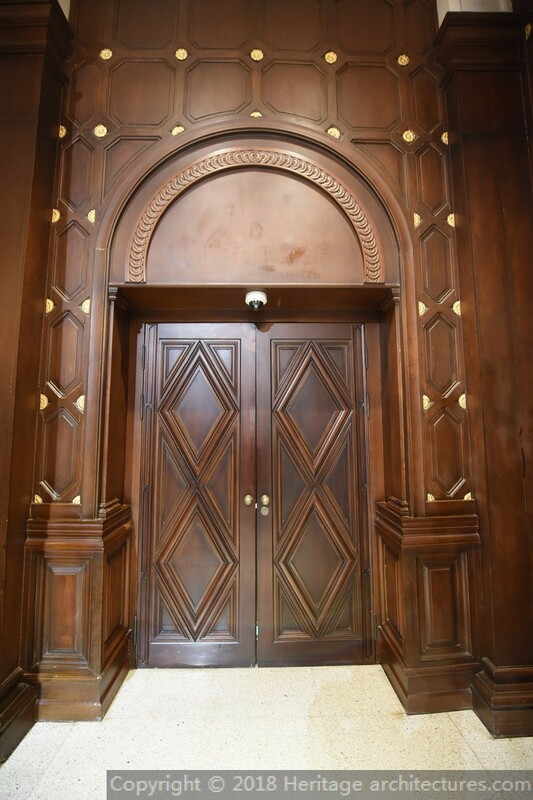 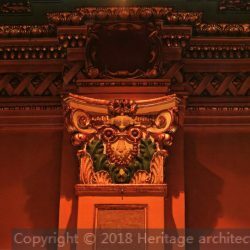 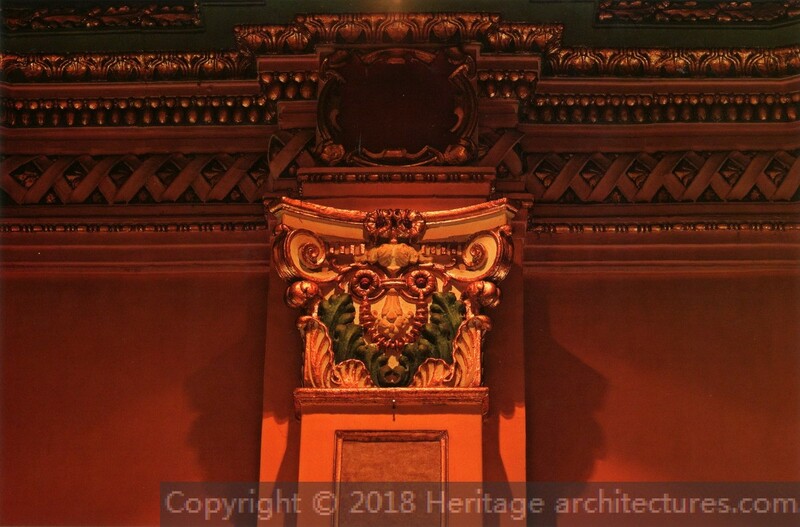 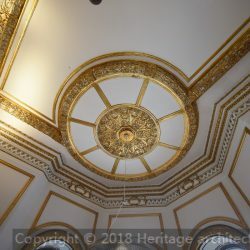 Within the magnificent halls, many exquisite carvings and decorations could be seen easily.